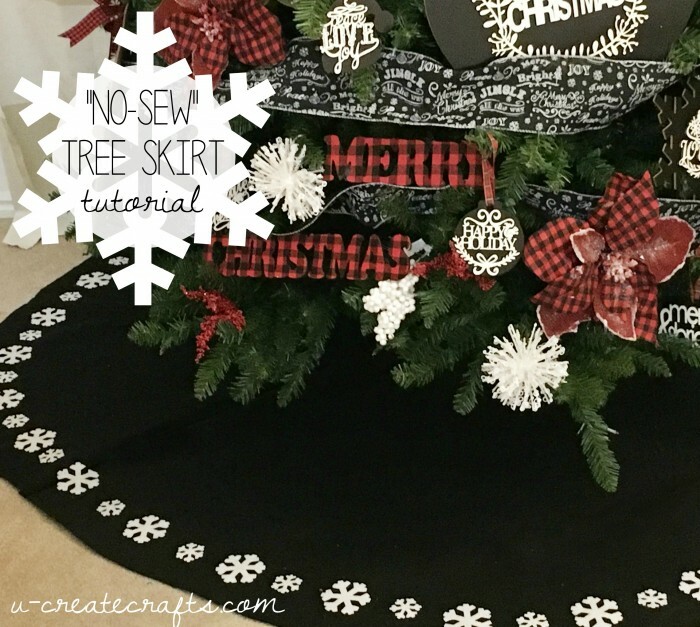 Are you ready to make the easiest tree skirt ever? 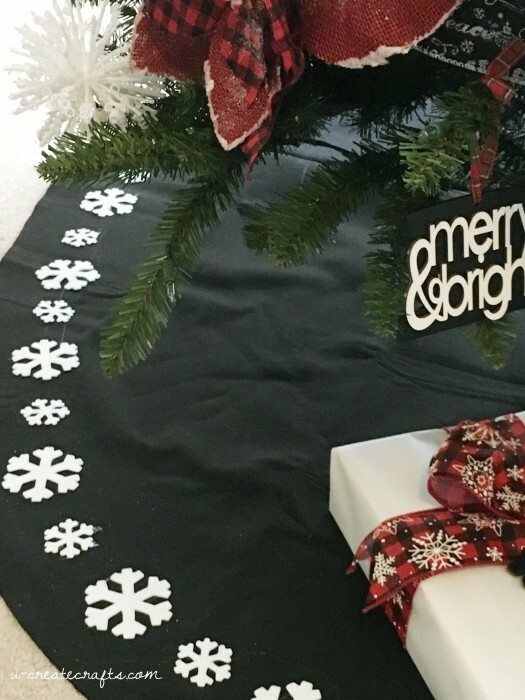 As part of my Michaels Dream Tree Challenge this year I decided to add a pop of black and white with this felt snowflake tree skirt that you can make in no time! 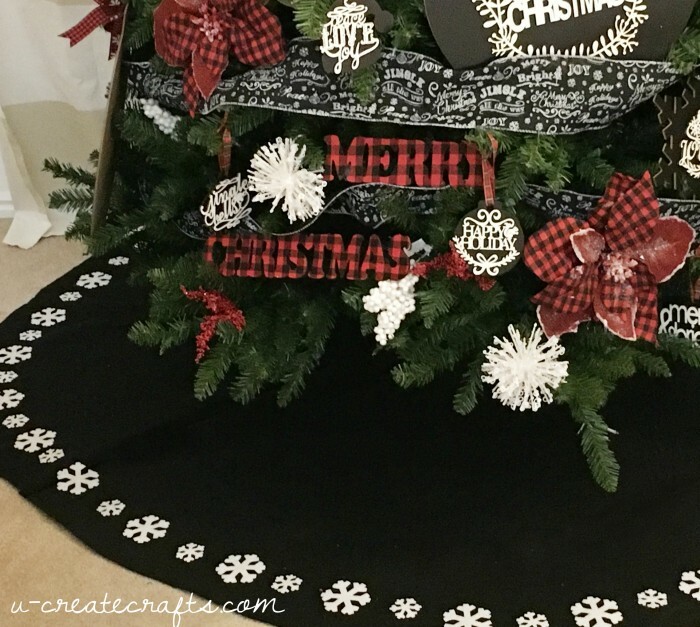 Decide how big/small you want your tree skirt. 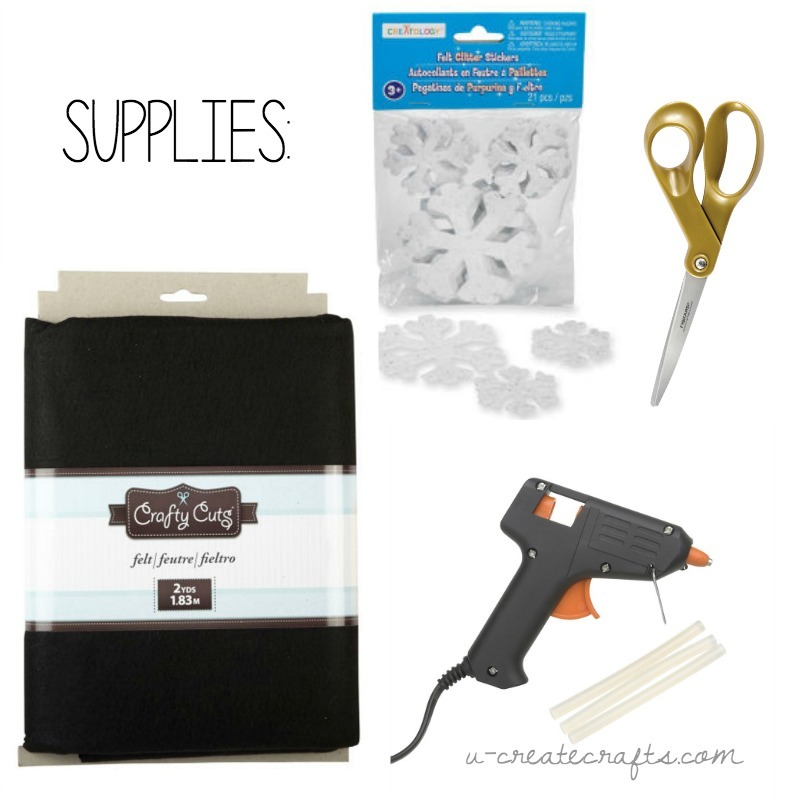 Cut the felt in a large circle to the size you want. I bout two sets of 2 yards of black felt so I glued them together. If you want the standard tree skirt size cut a 48″ circle. 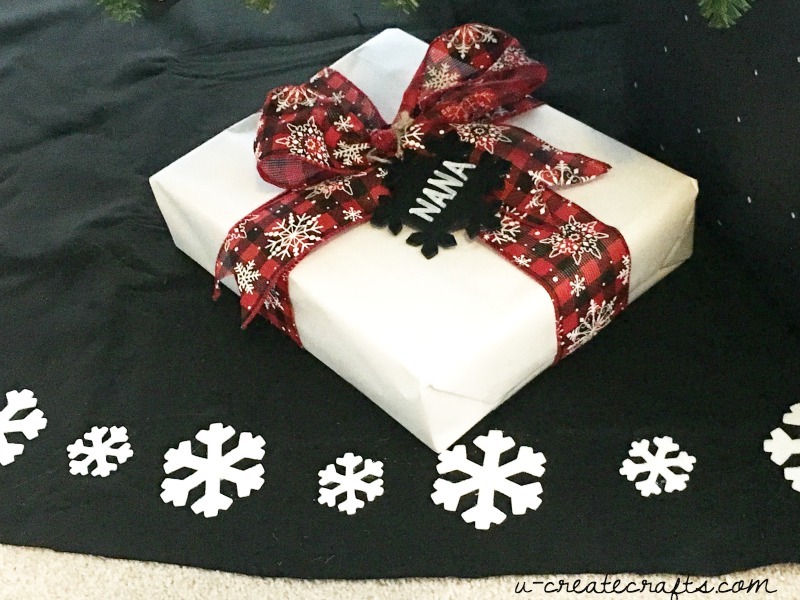 Cut a slit to the center so you easily wrap around the tree. 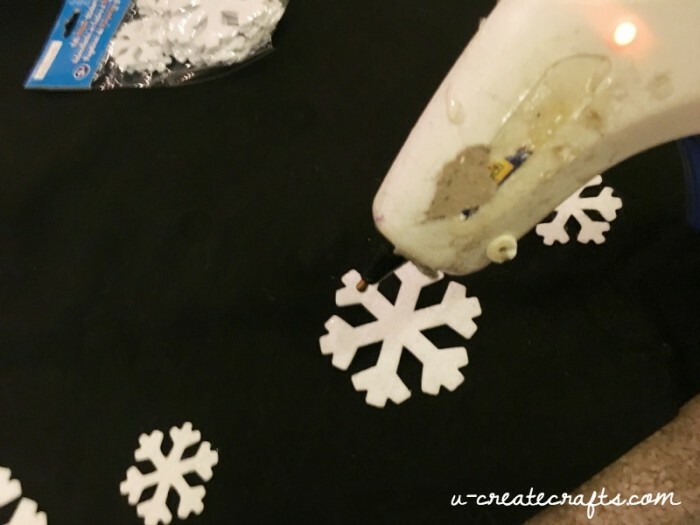 Next you are going to place your snowflakes where you want them on your skirt. Glue in place and you’re finished! Go here to see more details of my Michaels Dream Tree this year! 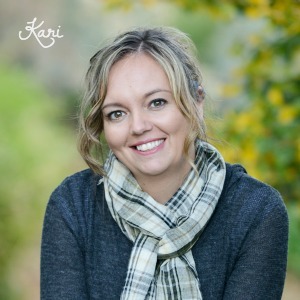 I seriously LOVE that, Kar. It’s so pretty!